This entry was posted in Campus Announcement, Events and tagged auburn, bass, championship on September 1, 2011 by Wire Eagle. AUBURN – Football fans who attend Auburn’s Sept. 10 matchup with the Mississippi State Bulldogs will have the opportunity to see the South’s top collegiate anglers weigh their prize catches at Ag Heritage Park. Twenty schools will be competing in the National Guard FLW College Fishing Southeast Regional Championship Thursday to Saturday, Sept. 8-10, on Lake Harding on the Alabama-Georgia state line, with the final weigh-ins occurring Saturday at Ag Heritage Park on Donahue Drive approximately 15 minutes after the Mississippi State game. The football game kicks off at 11:20 a.m. This entry was posted in Clubs, General News and tagged bass, fishing on June 3, 2011 by Wire Eagle. AUBURN – Jann Swaim, adviser to the Auburn University Bass Sports Club, has been named American Outdoor Sportsman of the Year by the Legends of the Outdoors organization. He will receive the award Aug. 14 at the group’s National Hall of Fame banquet in Nashville, which honors those who have blazed trails in the outdoor world and have set standards in their respective field. 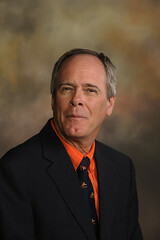 Swaim, who retired in 2010 after 27 years of work with Auburn University, helped found the fishing club in 2007, after seeing a need for a competition outlet for interested students. This entry was posted in Clubs, Events and tagged bass on April 12, 2011 by Wire Eagle. AUBURN – The 2011 Southern Collegiate Bass Fishing Championship hosted by Auburn University will take place Friday and Saturday, April 15-16, on Pickwick Lake near Florence. Weigh-ins will be held at McFarland Park in Florence Friday at 3 p.m. and Saturday at 2 p.m. The public is invited to attend the weigh-ins and support the anglers. More than 120 anglers representing 17 universities across the southeastern United States have qualified and are expected to compete. The schools include Auburn University, University of Alabama, University of North Alabama, Northwest-Shoals Community College, Mississippi State University, University of Tennessee, University of Georgia and University of Alabama at Birmingham. This entry was posted in Events and tagged bass on February 8, 2011 by Wire Eagle. AUBURN – Approximately 150 college anglers are expected to fish Wheeler Lake this weekend, Feb. 11-13, in the Southern Collegiate Bass Fishing Series tournament at Ingals Harbor in Decatur. The fishing series, hosted by Auburn University’s Bass Sports Club, is open to all university-sponsored fishing teams throughout the Southeast and beyond. This entry was posted in Clubs and tagged bass on December 15, 2010 by Wire Eagle. AUBURN – Auburn University’s Bass Sports Club is tied for the nation’s top spot among collegiate fishing teams in FLW Outdoors Magazine’s January 2011 issue. The editors rank Auburn in a tie with the University of Florida for number one among its list of top 25 schools.